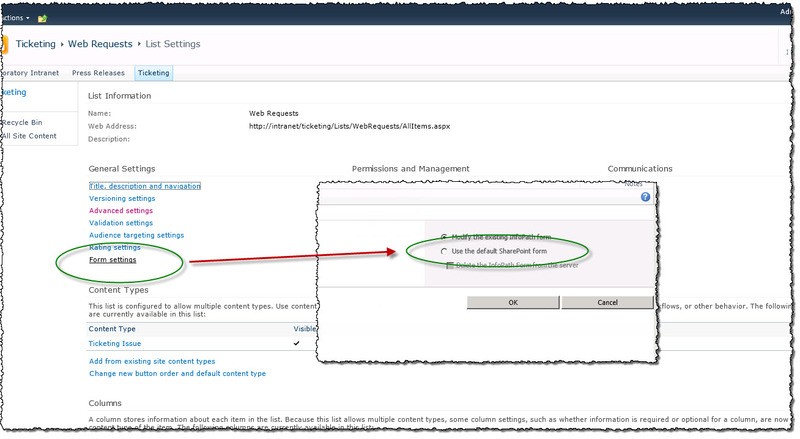 Denis Stadler – SharePoint & Dynamics CRM Consultant » A Simple LOB Application in SharePoint: Should I use InfoPath List Forms or the default SharePoint Forms ? 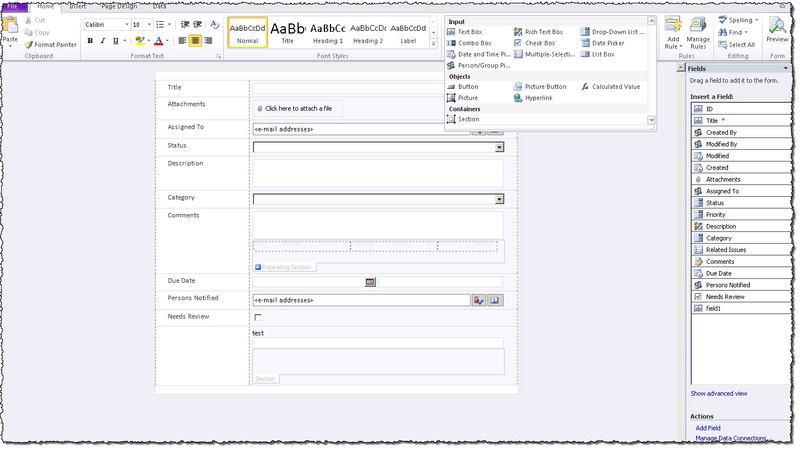 HomeSharePoint 2010 Custom Development A Simple LOB Application in SharePoint: Should I use InfoPath List Forms or the default SharePoint Forms ? 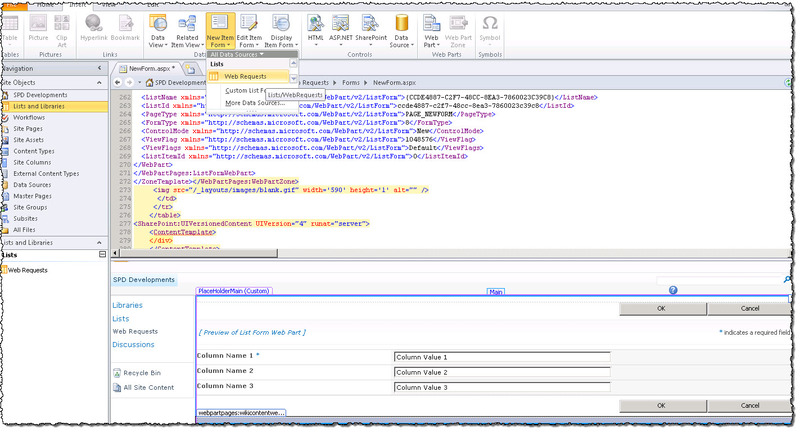 This is a new feature introduced in SharePoint 2010 and it is used as default for every SharePoint list. You can easily customize the form if you have Office InfoPath 2010 installed by pressing the Customize Form button located inside the Ribbon. 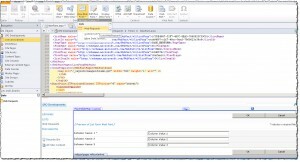 An interesting laboratory about this can be read on the MSDN web site: Customizing SharePoint List Forms in InfoPath 2010. The main advantage of this feature is that you can easily customize the SharePoint form without having any knowledge of HTML or SharePoint Designer. So for the Information Worker people this might be a very interesting feature. The is only one form for all the displays: New, Edit, Display. Even though you can create different views for the form, it seems that you cannot use them for different purposes. Update: You can create different views in InfoPath and then configure which view should correspond to a specific action: New / Edit / Display. Thanks to Proudpapa you can find at the following link a detailed how-to – Howto start customize list form (New/Edit/View) using InfoPath Designer 2010. Using Rules I couldn’t implement the following restriction: The Due Date has to be at least one week from the creation date of the ticket if the user is not member in a special team. There is no code behind for type of forms. So in my case there can be only one conclusion: use the SharePoint Default List Forms. To activate them please navigate to list settings using the ribbon button. Then please click on the Form Settings link and choose Use the default SharePoint form radio button. After this step is done just open the list in SharePoint Designer and start modifying the NewForm.aspx, DisplayForm.aspx and EditForm.aspx of the custom list. And now we will walk on the same path opened by SharePoint 2007. Just hide the built it web part and add the corespondent custom form. 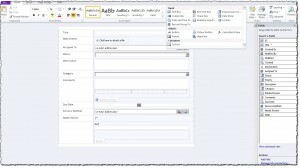 Now we can benefit of all SharePoint Designer customization possibilities. 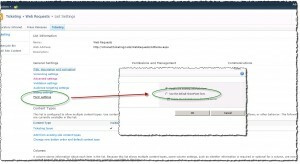 In Form Options in order to see both of the options – Modify the existing InfoPath form, Use the default SharePoint form – you need to customize the SharePoint Infopath List Forms first (by pressing the Customize Form Button). In my laboratory environment sometimes the SharePoint list had a strange behavior: sometimes in Form Options the “Use the default SharePoint form” disappeared. The only way to see the two options back in From Settings was to press the Customize Form button one more time !!! and then to publish the form from InfoPath. It seems that it looses the list settings or something similar. Perhaps that wasnt what you were referring to when mentioning the limitation, but just in case i thought i would post it as it helped me. Thank you! I updated the post accordingly.